Epic Storms That Hit the U.S.
Every year as hurricane season approaches residents in the southern corner of the U.S. stock up on plywood, duct tape, bottled water, and other supplies. Most of these residents have seen a hurricane or two in their lifetime and they know what kind of destruction they can cause. These devastating hurricanes can not only damage property but take human lives -- they are no joke. By definition, a hurricane is a tropical storm with maximum sustained winds at or above 74 miles per hour (mph). In the Western Atlantic and Eastern Pacific Oceans, these storms are called hurricanes. They are called cyclones in the Indian Ocean and South Pacific. And in the Western Pacific Ocean, they are referred to as typhoons. Here's a look back at eight of the most powerful storms to ever rip through the United States. It was August 13, 2004, when Hurricane Charley barreled its way into South Florida. This small but intense storm wreaked havoc in the cities of cities of Punta Gorda and Port Charlotte before turning northeastward to set its sights on central and northeastern Florida. Hurricane Charley caused 10 deaths and resulted in $15 billion dollars of damage. When Hurricane Andrew first began to form over the Atlantic Ocean in the summer of 1992, it was originally classified as a "weak" storm. By the time it hit land, it packed extreme winds with speeds of more than 160 mph. Andrew was a serious hurricane that devastated the South Florida area, causing $26.5 billion in damages and killing 15 people. With its pressure of 892 millibars, the Labor Day Hurricane of 1935 is on record as the most intense hurricane ever to hit American shores. The storm strengthened quickly from Category 1 to Category 5 as it moved from the Bahamas toward the Florida Keys. Maximum sustained winds at landfall were estimated to be 185 mph. The Labor Day Hurricane of 1935 was responsible for 408 deaths. On September 16, 1928, a hurricane ripped into Florida between Jupiter and Boca Raton. Storm surges of 10 feet with waves reaching 20 feet battered the Palm Beach area. But this storm caused the greatest loss of life in the towns surrounding Lake Okeechobee. More than 2,500 people drowned as the storm swept water out of Lake Okeechobee and over the towns of Belle Glade, Chosen, Pahokee, South Bay, and Bean City. Hurricane Camille hit the Mississippi Gulf Coast on August 17, 1969. It devastated the area with 24-foot high storm surges and flash floods. 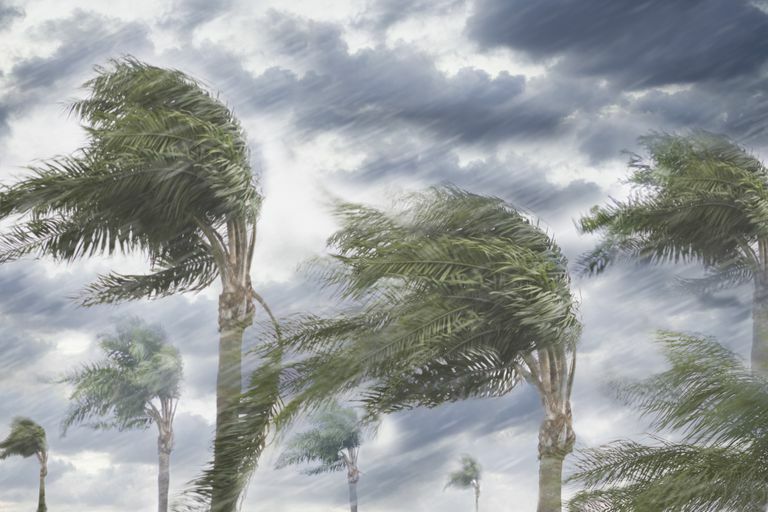 Exact measurements of the storm's wind speeds will never be known because the storm all wind-measuring instruments near the core of the storm were destroyed. Hurricane Camille caused 140 deaths directly and another 113 due to the flash floods caused by the storm. While most of the U.S.'s worst storms hit Florida or the Gulf Coast, Hurricane Hugo wreaked its havoc on North and South Carolina. It hit Charleston with winds clocking 135 mph, causing 50 deaths and $8 billion in damages. The deadliest hurricane in U.S. history hit the Texas coast in 1900. It destroyed more than 3,600 homes and caused more than 430 million in damage. An estimated 8,000 to 12,000 people lost their lives in the Galveston Hurricane. Since that storm, the city of Galveston has taken some serious action to make sure this city is not devastated again. Officials built a 3.5-mile seawall and raised the level of the entire city, by as much as 16 feet in some places. The wall was later extended even higher to 10 feet. Despite modern technology and preparedness levels, Hurricane Katrina struck in 2005 to devastating results. When the storm originally hit Florida, it appeared to be fizzling out. But it backed off and strengthened over the warm waters of the Gulf, hitting Buras, Louisiana as a Category 3 hurricane. Instead of having a focused core with extreme winds, such as those seen with Hurricane Andrew, Katrina's winds were strong but spread out over a wider area. This resulted in a devastating storm surge as high as 28 feet in some areas -- the highest storm surge on record. Katrina was a powerful storm, but what really caused so much destruction and loss of life was the collapse of infrastructure caused when the storm surge flooded levees. Hurricane Katrina flooded more than 80 percent of the city of New Orleans. The storm claimed 1,833 lives with estimated damages topping $108 billion, making it the costliest hurricane in U.S. history. The Federal Emergency Management Agency has called Hurricane Katrina "the single most catastrophic natural disaster in U.S. history."